The 154 coffee table by Sebastian Herkner is a robust steel table that has a harmonious round shape. Similarly to Yin and Yang, the two elements meet and create a table that is both timeless and modern. The side or coffee table consists of a slender, circular table top made of powder-coated steel resting on a massive, cylindrical-shaped foot. The foot is made of powder-coated steel and tapers upwards. It is available together with the tabletop in various colours, heights and diameters. 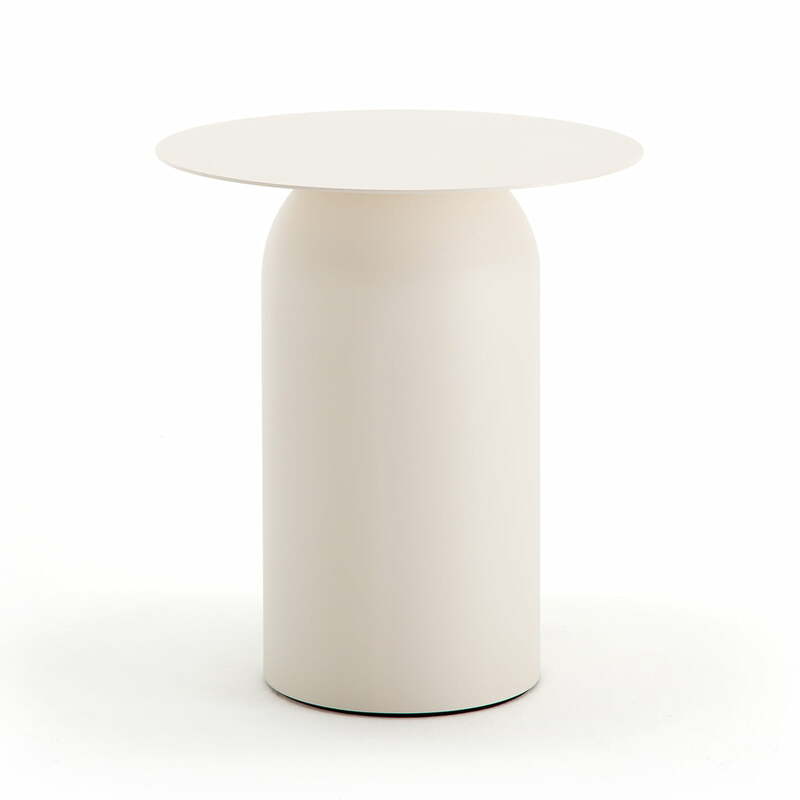 The 154 coffee table consists of a slender, circular table top made of powder-coated steel, that rests on a massive, cylindrical-shaped foot that tapers upwards.